This course was an introduction to Lab Safety at a semiconductor manufacturer. Working with a team of artists, we created a typical cleanroom common to semiconductor manufacturers. 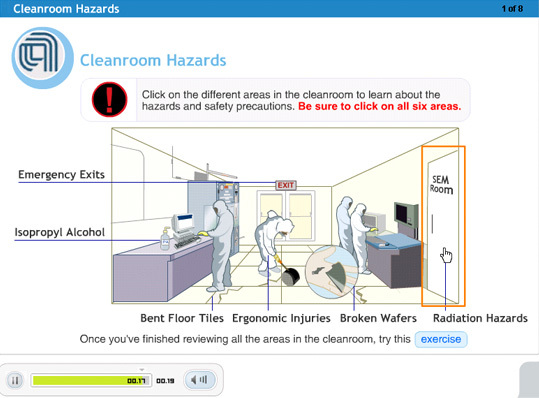 There are 6 “hotspots” or areas that the learner can navigate to, discover the hazards, then return to the main lab. One hotspot is highlighted in orange (SEM Room).